Blessed Being, your mind is a powerful tool of creation. It categorizes, analyzes, defines, and refines based on information that is known. The mind itself does not access new information; that is the realm of passion, love, the heart, the vastness, the unknown. It is the heart that will reach out to potential. It is the mind that compares what the heart dares to create. Do not fault the mind for its perceived limitation, for it serves great function. Instead of perceiving a limitation, look to the mind’s connection with the whole. As you perceive the beauty in the functionality of the mind, you free it from its limitations and open it to enhanced capability. 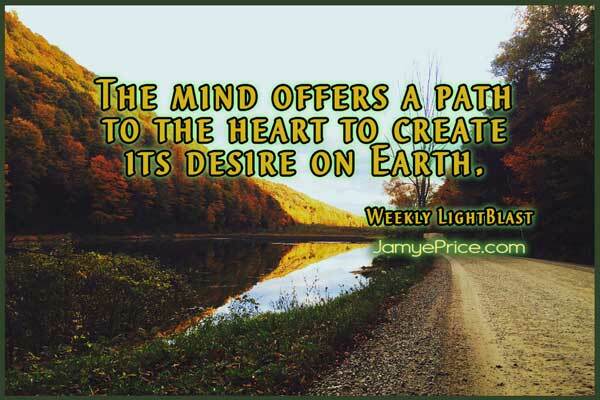 The mind offers a path to the heart to create its desire on Earth. If you were to walk in a circle repeatedly, you would eventually wear a well-defined path into the ground. You would observe the seasons changing, the plants growing—life occurring around you. If you walked long enough, the path would be so deep that it would be hard to get off of the path, for its depth would present a difficult climb. It is the same with your mind. As you think similar thoughts, perceive the past as one way, define another being, define Time, compare based on known information—you are only allowing the mind to walk on the same path. The heart’s creation is then limited. As you Free the Mind to open to new possibility, you expand its potential to traverse a new path. To do this, begin simply, for your biomechanism is in-built with vast capability. Your thoughts and your feelings are your subtle nature. They inevitably intermingle, yet in general you have developed a propensity based on your environment. Were you supported in your formative years to express your thoughts and feelings in healthy ways? If not, support yourself now. Do you know how to honor your anger and allow it to serve the expansion of life? Do you resist feeling badly, or do you know that any experience can be transformed into a benefit for life? This is how you become an empowered Loving individual. 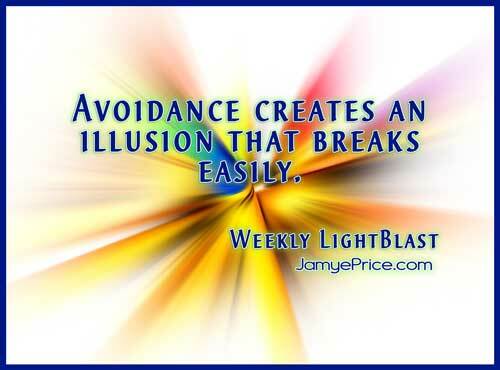 Avoidance creates an illusion that breaks easily. That is walking the same path until you are so deep that you no longer see the seasons. To Free the Mind, open it the heart’s desires. Open it to the joy that you want to create. Open your imagination into the realm of what has yet to be created in your experience and touch it with your heart (feel it), touch it with your mind (imagine it). Feel it. Imagine it. Feel it. What often closes the mind to new information is “how.” Beautiful mind, that is its function. But when the “how” is unknown, and the being is not heart-strong, the unknown is painful—the mind knows only lack. The shut down begins. Why want only to be disappointed? Why imagine only to come back to a reality of lack? Dear One, that path can be so well-worn and deep that even the seasons no longer touch your reality. There is no colorful spring or fall. There is no growth or rest. Only walls of dirt, ever deeper, ever more real, becoming the only known reality. Who could convince that being there is more? Time’s gift is that it offers you potential in every moment. Take the rope of hope that the heart offers, climb it, don’t let it go. That rope of desire is Time’s gift, Life’s gift. It never goes away, for Life itself is bound by Love—never afraid to keep offering potential to you. The heart wants. Let your mind touch those emotions of joy, desire, fulfillment, sharing, connection, and new potential. 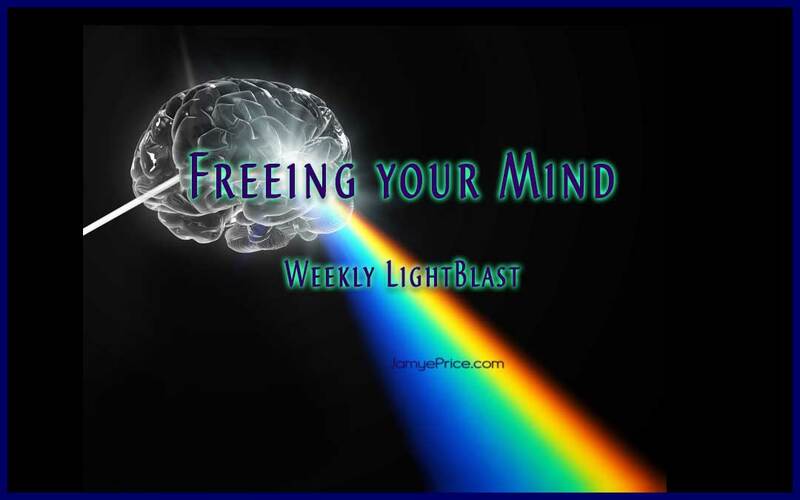 As you Free the Mind from the fear of “how,” you open your path to a new direction. As your thoughts and feelings intertwine, you entangle your self with new potential. You become whole in your subtle form. This simple statement opens you to the journey of life. Discovery. Experience. You are discovering the greater Truth of you, the broader Truth of Life. The unknown is becoming known within you. Only to give way to another unknown. The journey continues. As we sit to Blast Freeing the Mind, we are crossing bridges into new possibilities that have always been in Time’s potential. We are recognizing our infinite ability to Love Life as its creation becomes known to our open hearts and minds. We are no longer afraid to feel, for any positives or negatives transform into new form within our subatomic nature informing Life. We are powerful, and we are coming online. For stepping onto a new path of Love begins with the choice within. That line has just been crossed. Blast on! I hope as you read this you feel into me. Thank you, Jo! What kind words. I really appreciate you sharing that with me and I’m glad to share the journey! Much Love to you, Jo!